This is another map from the research work of Nicholas Grisham, Terra Reed, and Kevin Shelton of the University of Michigan. 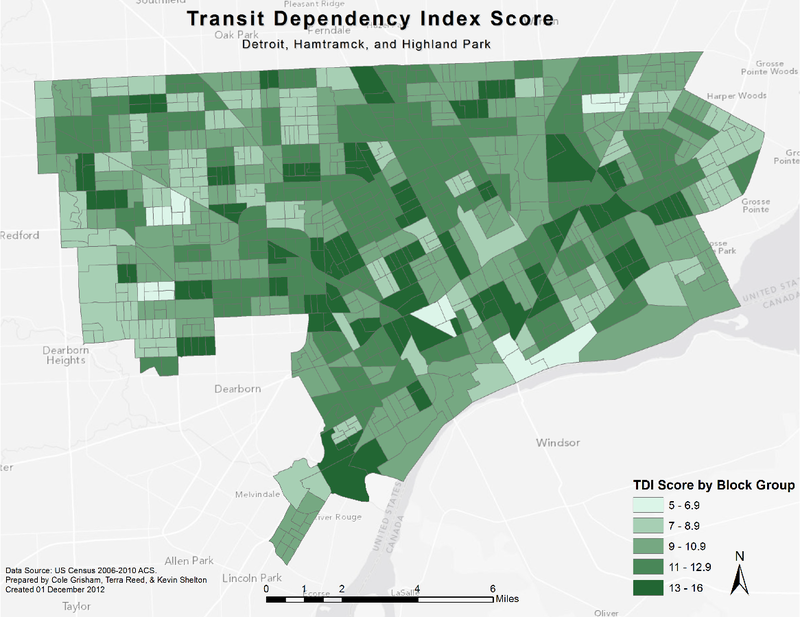 As part of their deeper look into the Social Justice Impacts of Transit Reductions in Detroit, they developed a “transit dependency index” (TDI) index score for each Census Tract. The TDI score is based on vehicle owership, elderly population, youth population, and median income within each Census Tract. 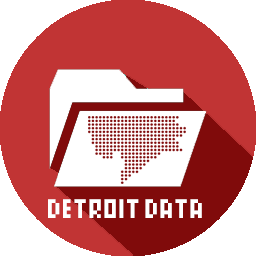 The score doesn’t reveal any clear pattern across Detroit, but does show an interesting set of darker TDI areas along Detroit’s major avenues: Woodward, Grand River, and Gratiot. These routes have some of the highest bus ridership, but due to the nature of Census Tracts, might not make sense for all residents of Detroit.